Sculptor Daniel Altshuler, a classical sculptor who makes statuary, busts, bas-relief and medals, in his studio in Gloucester. 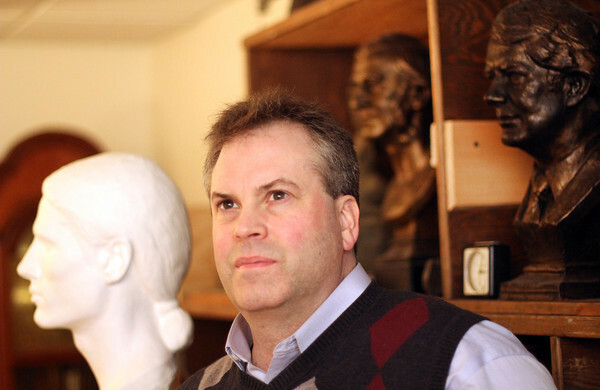 His specialty is crafting classical figurative statues. At left is a sculpture of Manchester resident Michael Gates. At upper right is former President Jimmy Carter. Behind Altshuler, center back, is Ralph Waldo Emerson. Photo by Allegra Boverman.